If You think This Beautiful place somewhere ini Brazilia, America nor Australia… You Are Wrong!! This is in East Kalimantan Indonesia! After passing the entrance gate, where we have to pay entrance fee Rp. 3,000 for adult and Rp. 1,500 for kid, we parked our car then we went to Canopy Walk ticketing. The fee for domestic is Rp. 20,000 and for foreign visitor is Rp. 50,000. 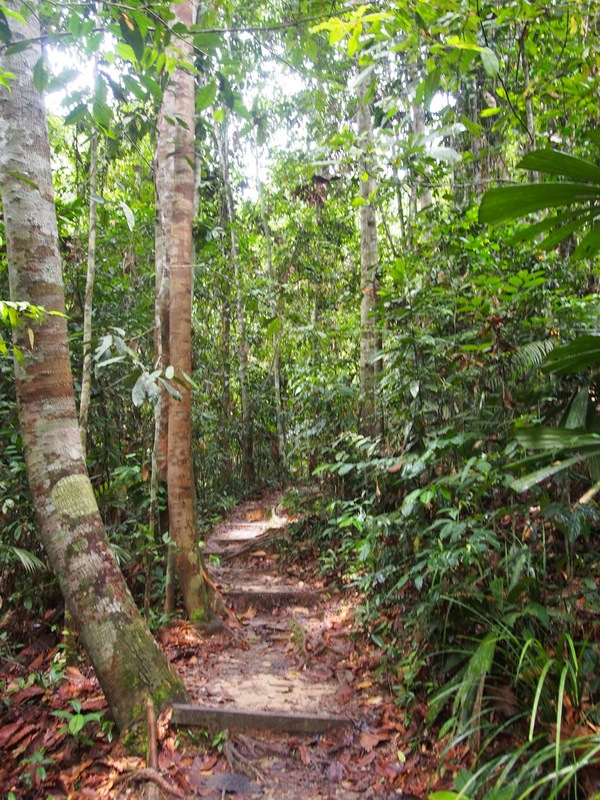 After that, we were ready to go to the Canopy Walk passing some trekking path. 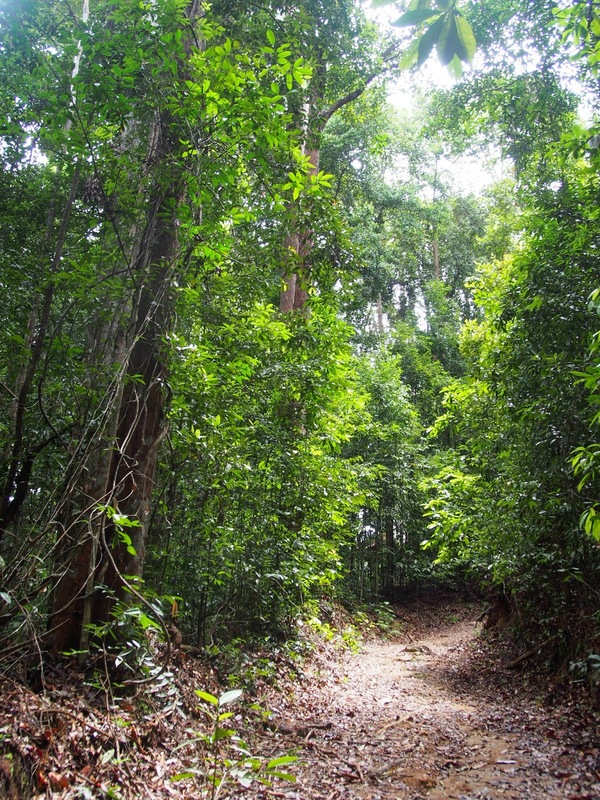 There are several trekking path inside the forest. Most of the trekking path’s name are using former Forestry Minister’s name. 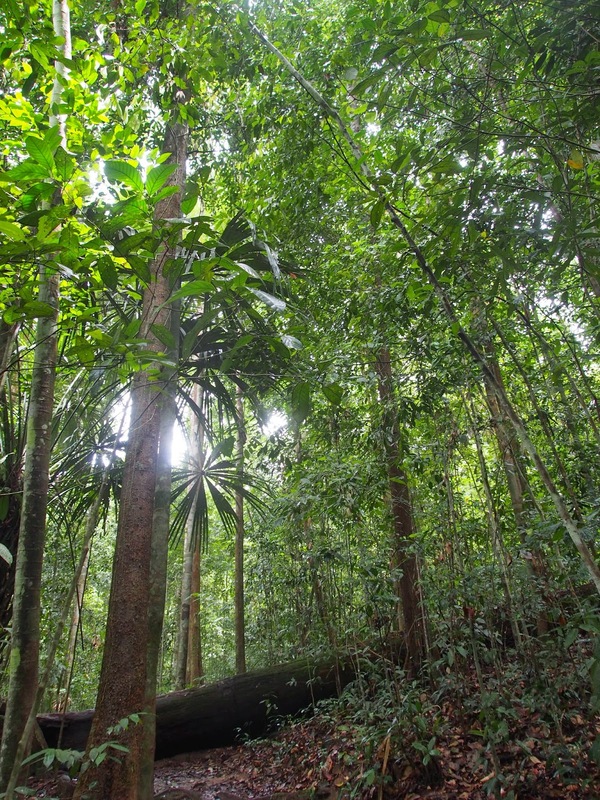 The forest is dominated by trees that are more than 150 years. 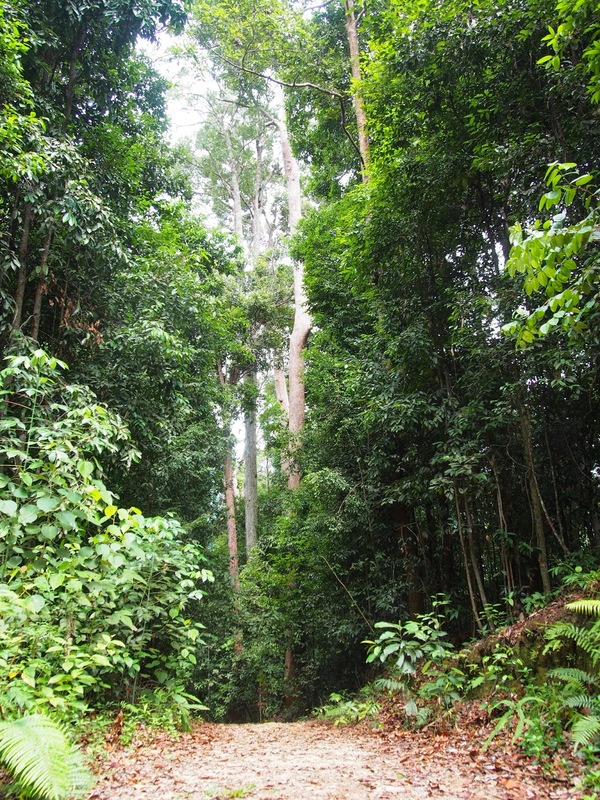 The average height of the trees is 40-50 meters. 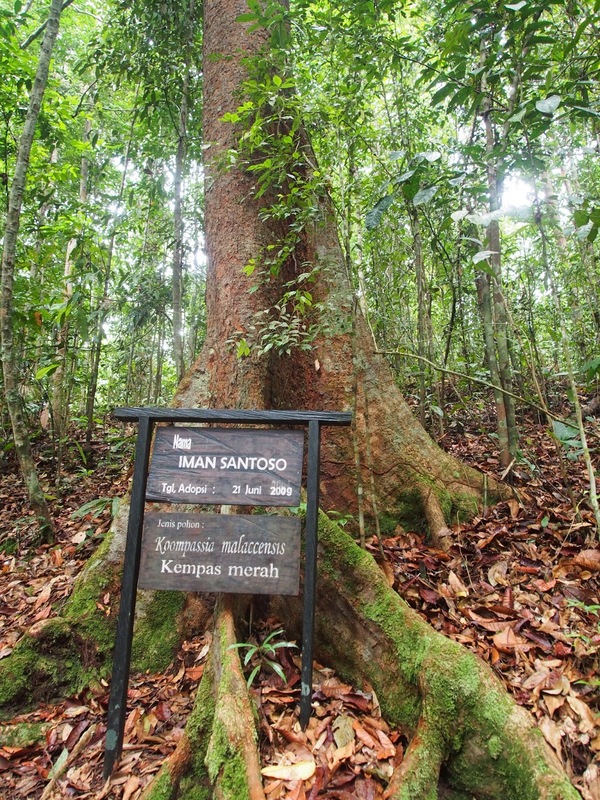 During trekking we found that some big trees had been adopted and the adopter name is put on the sign below the trees. 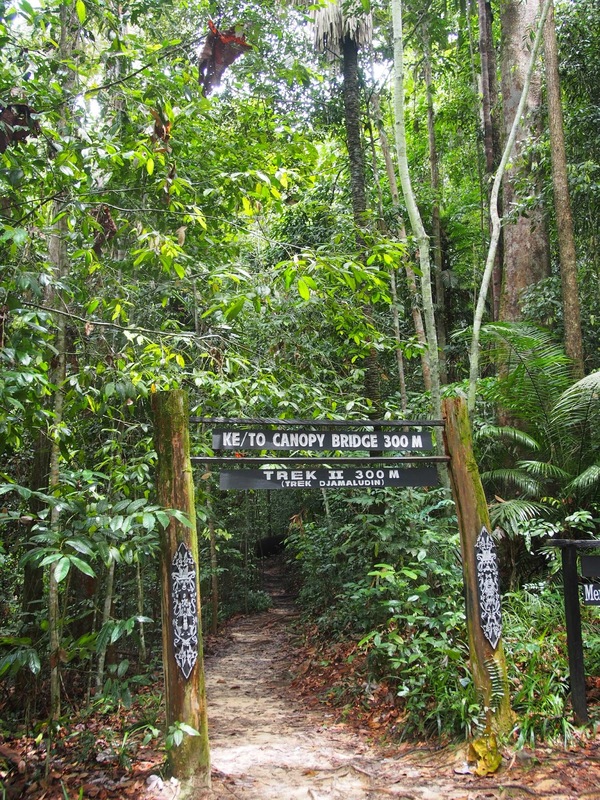 After the first 150 m trekking, we entered the second trek, 300 meters to go to the canopy bridge!!! It is suggested to bring one bottle of drinking water to avoid dehydration. Even though, there are some people who sell drinking water below the canopy bridge before we climb the to the bridge. We found some big trees collapsed due to bad weather or too old. 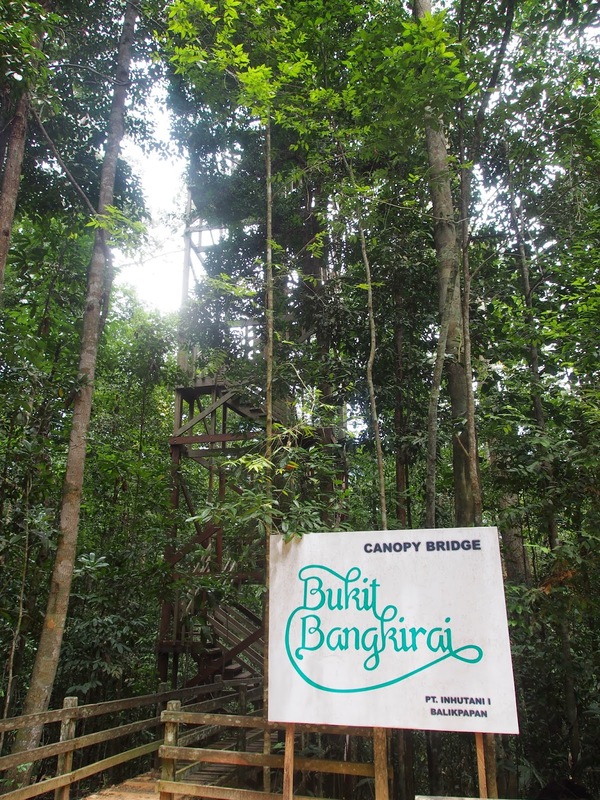 Finally, we arrived at the Canopy Bridge. This canopy bridge was built in United Stated in 1998 with highly safety standard. It is connected 5 big trees around 30 meters above the ground level. This is the first canopy bridge in Indonesia, the second in Asia and the eighth in the world. First of all, we have to take the stair to enjoy the canopy bridge. There are some regulations that everybody has to follow while they are on the canopy bridge. 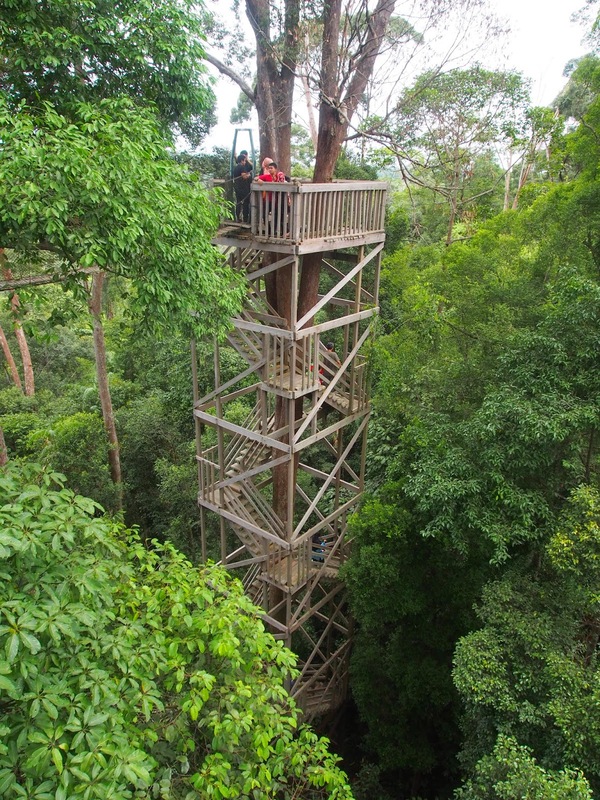 After arrived on the top of the stair, I walked to another tree using the canopy bridge. This was my first experience. It was amazing upstair. Looking down and surrounding of rain forest. Listening some birds singing. What a peaceful day!! It is totally different with the crowd in Jakarta, the place where I live. It was pump up my adrenaline. The weather was nice at that time. Even though It was so tired. I was happy and enjoy this adventure. 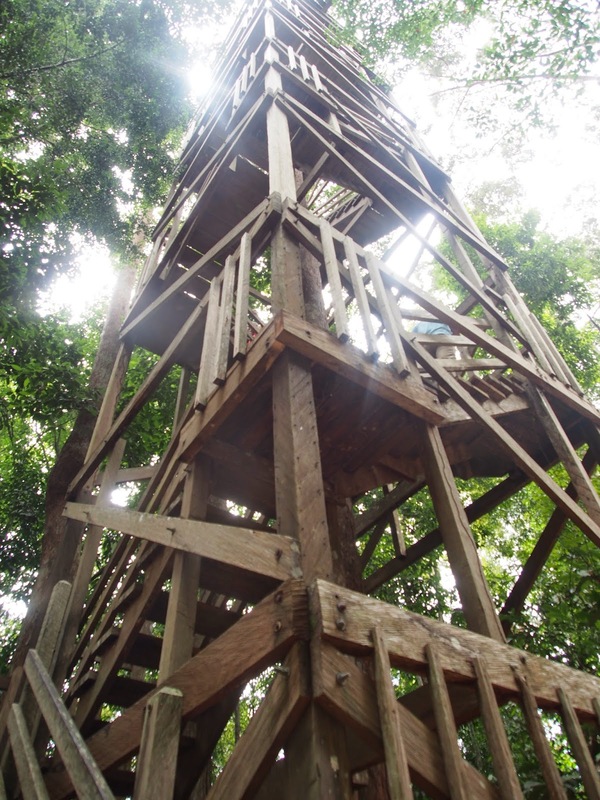 On the way back, we choose to use different trek with what we used to go to the canopy bridge. It is recommended to wear comfortable shoes for trekking. Some of place was quite slippery. There are some souvenir that sell t-shirt and East Kalimantan traditional handmade souvenirs. There are some restaurant that sell snack, drink and provide meal such as fried rice, noodle or fried chicken. Visitors are also can rent villa or lodging to stay or do camping in Bangkirai Hills. These are typical lodging building, some with air condition and some with fans only. 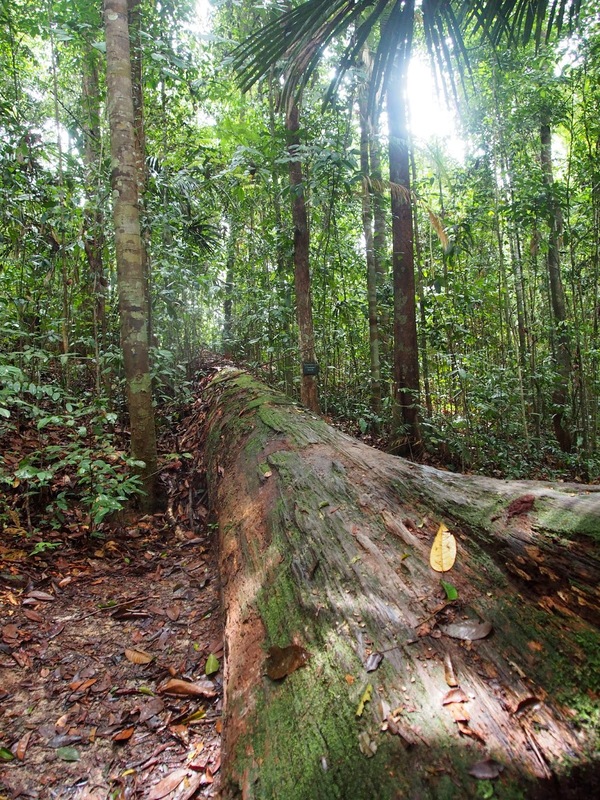 You can have experience stay in the middle of rainforest.